I'm happy to share the stage with David Bowles, my teaching colleague, and an award-winning author and poet. Here's a short bio of David: A product of a Mexican-American family, I have lived most of my life in deep South Texas, where I teach at the University of Texas Río Grand Valley. Recipient of awards from the American Library Association, Texas Institute of Letters and Texas Associated Press, I have written several books, most significantly the Pura Belpré Honor Book, The Smoking Mirror. David has a brand new book out this fall, They Call Me Güero: A Border Kid’s Poems (Cinco Puntos Press, 2018), and Janet (Wong) and I had the chance to read an advance copy and it's truly unique and lovely. 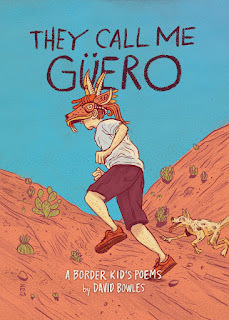 Kirkus Reviews noted, "Güero's voice brims with humor, wit, and bits of slang, and a diverse cast of characters offers hints of other cultures. 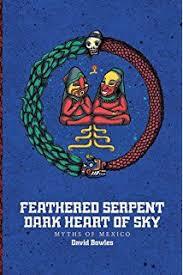 [...] A valuable, too-brief look at the borderlands." Where did my journey to Güero begin? I suppose I could go back forty-eight years to my birth. That seems a bit trite and silly. Perhaps it happened four years later, as I sat enrapt as my Grandmother Garza told me tale after tale. But no. That centers me, and this book isn’t just about me at all. Okay. It’s November 2016. NCTE Annual Conference in Atlanta, Georgia. Trump has just won. Elementary teachers of English approach Sylvia Vardell and Janet Wong with a dilemma. Their students are confused. Scared. Taunted by bullies emboldened by the rhetoric of the president-elect. They need poetry to help them grapple with this new era. Goodness. We all do. So these two amazing poet-scholars, heroes of mine, the sort of people I want to grow into some day, rise to the occasion. They agree to put together an anthology before inauguration. That gives them two months. They shouldn’t be able to pull it off. 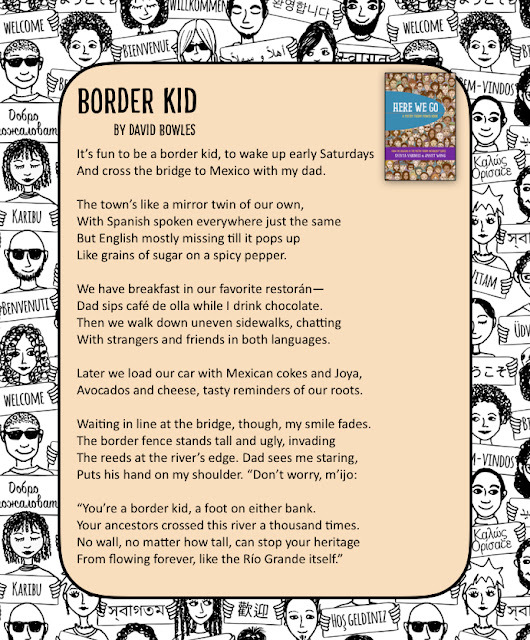 Now, Sylvia and Janet are familiar with a poem of mine, “Border Folk,” published a year before in BorderSenses. So they reach out. “Could you write something like that, with the same richness of details, but for 7-year-olds?” they ask. Yes. Yes, I can. The idea energizes me, helps me filter my own experiences as a half-Chicano child in deep South Texas in the 1970s through the lens of my son’s life and the struggles of other kids we know, undocumented girls and boys in our community who fear for themselves and their families. “Border Kid,” I title it. Sylvia and Janet are pleased. They include it in their anthology Here We Go: A Poetry Friday Power Book (Pomelo Books 2017). A lovely opportunity for me. 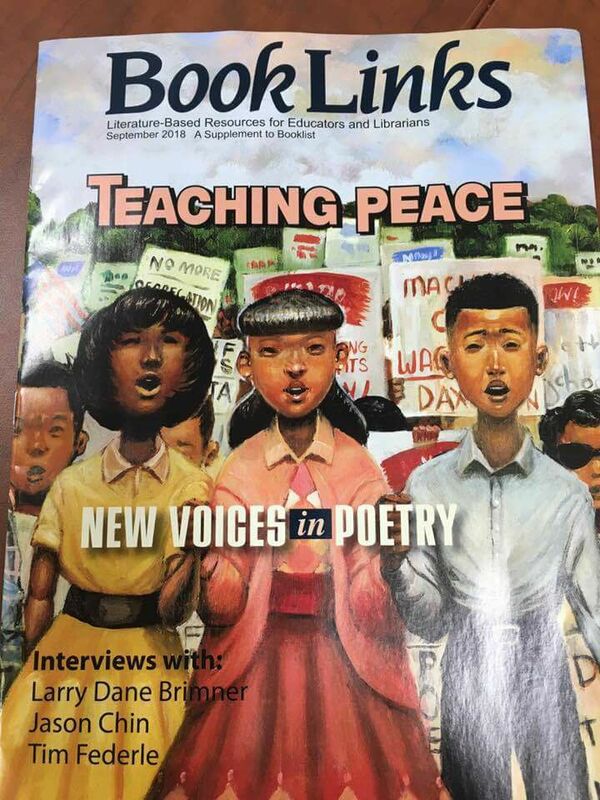 I’ve always wanted to be in a Poetry Friday Book. It in’t too hard, to tell you the truth. I can hear the boy just as clear as a bell. He doesn’t need a name. He’s the güero /wero/, the light-skinned kid in his extended family, a 12-year-old with one foot in mainstream America and the other in his family’s Mexican American traditions. A Gen-Z gamer who goes to Spanish-language mass, a dreaming reader who runs through the monte—the brush—with his dog. He is, in short, a blend of me and my son, my cousins and nephews, every big-hearted boy in every barrio on the border. And he is bristling at the hatred, worried by the fearmongering, protective of his friends. But just like me when I was his age, there are people who love and guide him. Storytellers. Priests. Friends. In a moment of magic, his English teacher pulls the lid off poetry for him, helping him see the wonders inside. He is hooked. He begins to write his own verse, using it to tell his stories, to understand himself, to map out his place in the world. To make the girl he likes fall in love with him. To resist those who would hurt his family and friends. To stand tall and fight back with words instead of fists. That’s Güero. Even boys who hate poetry are going to like him. And along the way, they might just fall in love with poetry, too. ***Now head on over to The Water's Edge where Erin is gathering all our Poetry Friday goodness! Monica Clark-Robinson is a writer, actor, audiobook narrator, and children’s librarian working in Arkansas. 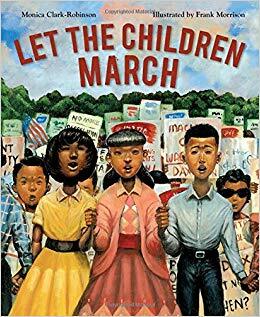 Her first book, Let the Children March, focuses on the 1963 Children's Crusade. Elizabeth Acevedo hails from New York City, the daughter of Dominican immigrants. She is a poet, performer, and Poetry Slam competitor who has delivered TED Talks and created viral poetry videos aired on PBS and other sites. 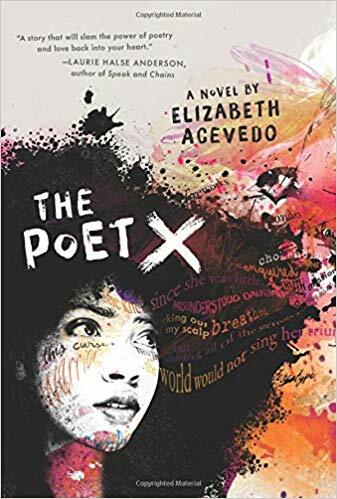 She’s published poetry chapbooks and The Poet X (HarperCollins, 2018) is her first novel in verse (published by HarperCollins). Juleah del Rosario was born and raised in the Seattle area and now works as a university librarian in Colorado. Her first book is the YA novel in verse, 500 Words or Less (Simon Pulse, 2018). Katie Hesterman is a nurse, tutor, author and poet. She lives in Fort Wayne, Indiana with her husband and daughter. 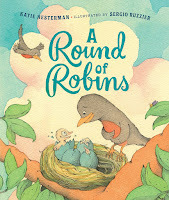 Her poetry for young children has appeared in Ladybug Magazineand her debut picture book is A Round of Robins. Joy McCullough writes books and plays from her home in the Seattle area, where she lives with her husband and two children. She studied theater at Northwestern University, fell in love with her husband atop a Guatemalan volcano, and now spends her days surrounded by books and kids and chocolate. 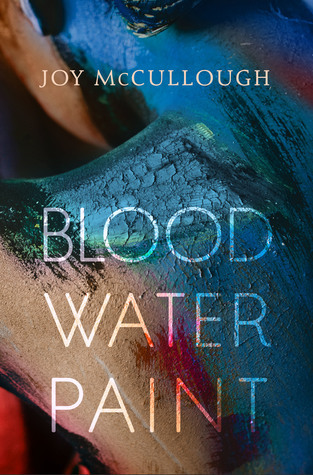 Blood Water Paint (Dutton, 2018) is her debut novel. 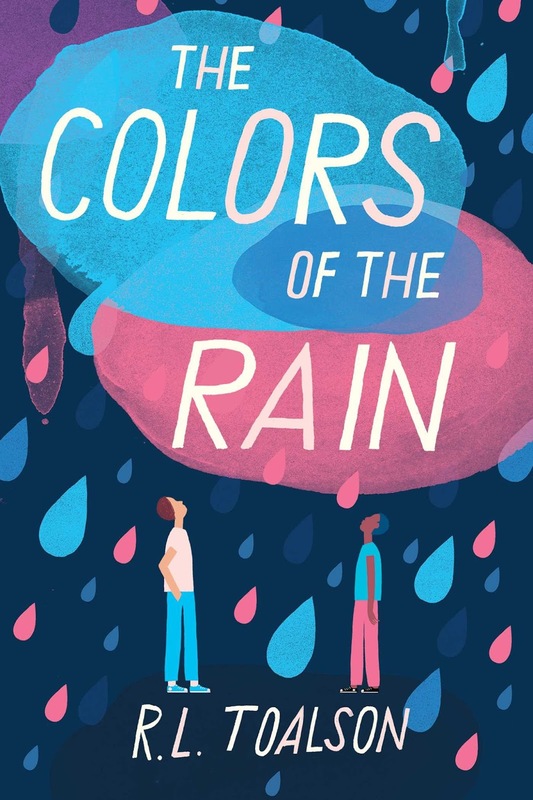 Rachel is a poet, author, and essayist who lives in San Antonio, TX, along with her husband and six sons.The Colors of the Rain (Bonnier Publishing USA, 2018), a middle grade novel-in-verse, is her first novel. Can you describe your path to poetry? How did you discover poetry or develop as a poet? Why did you find poetry the right fit for this particular book? What do you most want readers to know about your first published book of poetry? Or what’s the “story behind the story”? Then, I wove them into a short narrative and voila, our collaborative article became the featured article for this month's issue! HOORAY! Here are a few nuggets from their responses. I wanted to root this book in the emotions I read about, in many first-person accounts from the children who marched and in the interviews I did with them. I wanted heart to take precedence over bald facts, and I know of no better way to get to the emotion of an event than through poetry. I started out with the text of the book being a modified villanelle poem. After many revisions, my agent and I decided the story might be better told in lyrical free verse. But we maintained the rhythm of the villanelle with several repeated phrases in the book, like "Singing the songs of freedom, one-thousand strong we came." Those lines were the original refrain of the villanelle, and I think they help the book "march" forward, so to speak. I have a collection of poetry that was published before this novel, Beastgirl & Other Origin Myths, but for this novel-in-verse I most want readers to know that it took its time coming together. I was first inspired to write YA when I was teaching 8th grade English Language Arts and my students wanted more books that reflected their cultural heritage. And I began with The Poet X, but I didn't have the range yet. I had to write two other manuscripts before I could return to this one and finish it. Even though it's my shortest manuscript at 30,000 words, it took the longest because I needed to teach myself how to write a novel before I could come back to complete it. So this book is an homage to my incredible students, to uplifting their voices and our stories, and also to enduring the process of writing; to not quitting what felt like a most urgent task. The first draft of 500 WORDS OR LESS was written in prose, but when I re-read this early draft, the emotional quality, the complexities, the untidy feelings I wanted to capture weren’t there. The novel wasn’t working. I had recently read a few verse novels, and the emotional qualities of these novels resonated with me. So I took a very scary risk, and rewrote the novel in verse. I told myself it was an experiment. I told myself that if it didn’t work, I could always go back to the original draft. 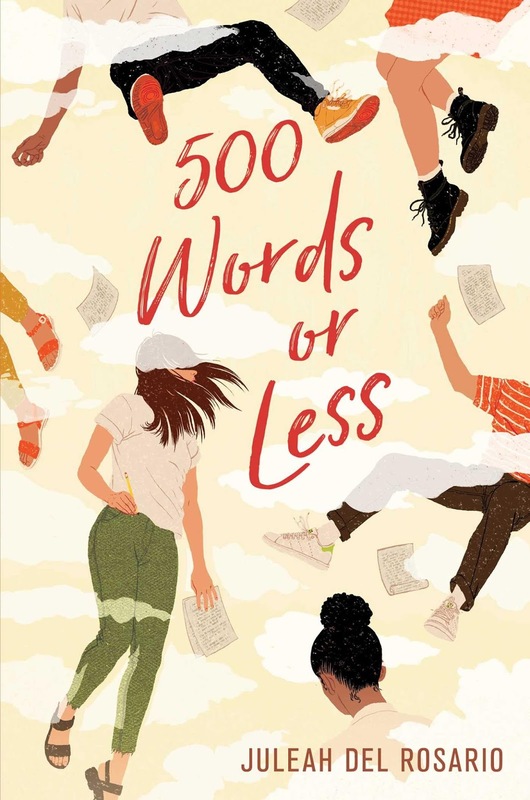 The title 500 Words or Less is a reference to the grammatically incorrect usage of the phrase sometimes found in college application essay prompts.... It is also a story that explores the complexities of life that can’t be tied into a neat little bow. Poetry has always had a home in my heart. I love alliteration and what could be better than the anticipation that comes with great rhyme and meter? When I find myself challenged by a poem, nothing is more exhilarating than discovering the perfect verse with tongue-tripping alliteration and rhythm so strong that it nearly spills onto the page. For me, simply put, writing poetry is playing with words! When it comes to picture books, less is often more. Poetry allowed me to tell the robin’s tale in a tight and tidy manner. 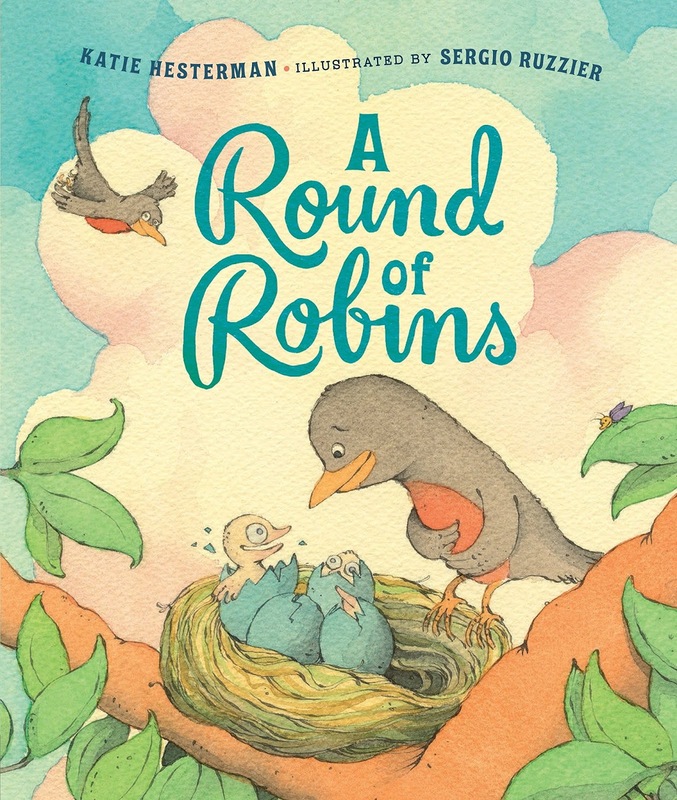 In A Round of Robins, word play, alliteration, rhyme and meter work hard to make the robin’s plucky personality pop. Blood Water Paint is the tenth book I wrote, but it’s my debut novel. I endured quite a staggering number of rejections on the road to publication, but ultimately I’m debuting with the book of my heart, with the perfect team behind it, at the perfect time. So for anyone frustrated in creative pursuits, keep going. Keep telling the story only you can tell. It will bear fruit eventually. Specifically for readers of Blood Water Paint, the subject of my book, Artemisia Gentileschi, was a storyteller. She used paint and canvas, but she told her story and made her voice heard, and centuries later, her story spoke to me. I hope her story encourages other young women to speak up and make their voices heard as well. And for anyone who is not able to tell their story, I hope they take comfort from Artemisia in knowing that they are not alone. The Colors of the Rain contains, at its heart, two very difficult stories. The first is the segregation that still existed in the South during the early 1970s, after the bulk of the civil rights movement had finished its most significant work. The second is the story of a broken family. Neither of these subjects is easy for children to understand. But poetry can say what needs to be said in a way that children can both understand and process through. There is so much that can be left unsaid in poetry; so much that the reader can bring with his or her own imagination. Poetry can be interpreted in any way the reader wants, and this story felt like it needed that open-ended interpretation. >>> These are fascinating books to find, read, and share, right? And these are definitely six writers to watch to see what they do next, too! For more of their responses, please seek out the whole article. It is also available online here (although this may require a Booklist subscription). 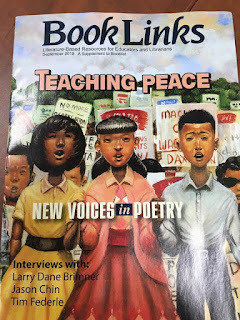 Now go check out Carol Varsalona's Poetry Friday gathering over at Beyond Literacy Link. She is doing fantastic things to promote poetry, poets, and poetry writing!